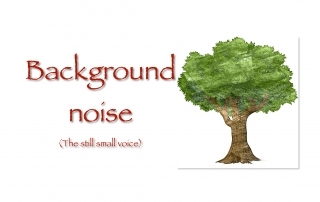 One of the things you have to contend with is background noise. There are so many thoughts and ideas in your head being fed by memories, sights, sounds, smells and feelings. They alone can be overwhelming, add to this cacophony is hearing His voice which seems to be the quietest. They call it that still small voice. 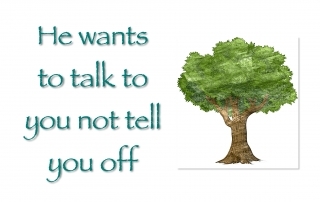 The reason it is so quiet is that all the others speak to your mind directly whereas He speaks to your spirit. There is no competition or at leat very little. The question is how can you differentiate between your thioughts, His thoughts and perhaps the devils attempts to influence you. If I can suggest one simple answer ‘peace’. If what you hear sends you into a tailspin, confusion, doubt, worry, despair etc then you have a right to challenge what you have heard. This can also happen when He has spoken to you and you add your bits to it, extrapolate His words, adapt it, multiply it etc you get the picture. It is never that our brains/minds are the enemy, far from it, rather it is perfect when our minds align with our spirits and particularly when our spirit listens to The Holy Spirit. It is a process of learning and I am still learning. A hard lesson especially when the pressure for a solution to a problem is on. Train yourself to listen. It is a process and an art. It is a discipline but well worth it. making mistakes is all part of the learning process. Waiting for random titbits from God is noway for a deep and meaningful relationship. It is meant to be a full blown relationship where communication is clear. Access to Him is permanent not intermittent. We read His word and have a guess at what He is thinking. We look at others to workout His attitude towards someone or something. He is not a cosmic jigsaw that He has left lying around for us to puzzle over. He will talk to you as much as you listen. 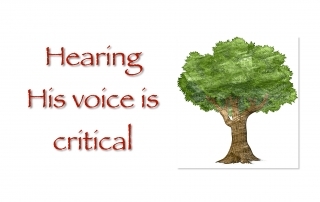 The question is then are you listening? If He has already answered your question why go round the mountain again to ask the same question. Perhaps in the hope that He will have changed His mind or forgotten and then give you a better answer. Don’t treat Him like a slot machine. You are too awesome to do that and He is too wonderful to be treated like that. He is a good Father. He loves you and accepts you. He loves you the way you are but He loves you too much to leave you like that. He is for you not against you. You can trust Him like no other. If you are afraid to ask Him because of what He might say then it is likely that your perception of Him is based on a lie. I can’t put it any less blunt. If you are not listening to Him the question is who are you listening to? Let’s be straight He isn’t just a warm cuddly Father Christmas type figure He is also Judge. He is not sentimental yet He remembers your good deeds. If you are getting mixed messages that is because He is manythings all at the same time. He is not like you and me. However, in Jesus He demonstrated His nature, His heart and His passion. When you look at the life of King David and listen to what God said about Him you begin to realise that there is more to Him than is written in a book. He is in the book but He is also to be experienced. You are meant to be having a relationship with Him, as a son/daughter, a friend, a servant etc. All of them at the same time. So why are you afraid to ask Him, talk to Him or listen to what He has to say? You will stand before Him one day. Now is the time to find out what He has to say not then. Then is too late. 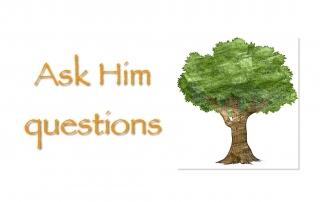 Ask Him now and you will be surprised how pleased He is that you asked. There are two ways to ask a question, open and closed. I realised that I was using both. I was asking Him should I do such and such a thing and the answer was either yes or no or you choose (unhelpful sometimes). The other times were more open ended, like what should I do in a specific situation. So what you may ask. The challenge I face with the first, closed questioning I am choosing the flow and I have to either accept or reject what He says. This is where it can be hard to want to hear for fear that He is going to say no to something you were rather hoping He was going to say yes to. The second, open style question has a different challenge because you have given Him the floor and you have to be prepared for whatever He says against a background of your own thoughts and the suggestions of others. Hearing clearly to answers to both sets of questions is the crux of the matter. It is training ourselves to hear and trusting that we have heard Him and not some random thought in our head. Also it is whether you really trust Him and that depends very much on how much you know Him.